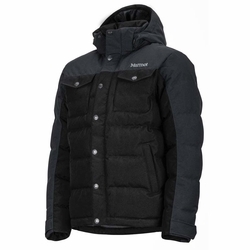 Marmot Fordham Jacket. With a rugged, outdoorsman look, the Fordham harks back to Marmot roots. Finish this look with a warm insulation, protective weather-shielding fabrics and numerous appointments and this jacket will happily quest where you do.